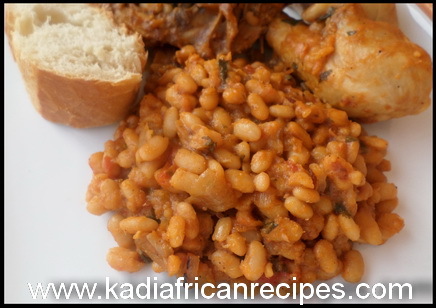 I love both Chicken and beans, and the mixture of those two give an awesome result. This is why in today’s recipe, I will share my favorite chicken and beans recipe. You won’t need ton of ingredients for the recipe and the result tastes so good. 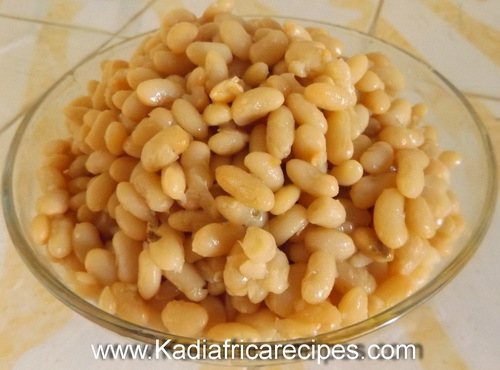 Step 1: Start by adding the dried beans in a pot, cover with water then add the baking soda and ½ tsp. of salt. Bring it boil, cook for 3h or until the beans are fully cooked. When the beans are cooked, drain them from water and set aside. Note: Adding the baking soda helps cook the beans faster. If you don’t add any, cooking the beans might take 5 to 6 hours. Step 2: In a saucepan, heat the vegetable oil and brown the chicken. 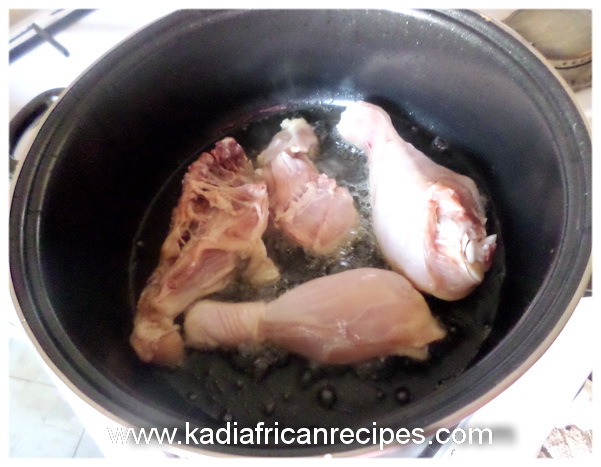 You can season the chicken with salt and fry until brown. Then remove from the hot oil and set aside. Step 3: On the oil you fried the chicken, add the onion and tomatoes, stir well. Then add garlic, parsley, basil leaves, black pepper and bouillon cube to your taste. Cover with a cup of water and let simmer for 5 min. Step 4: In the tomato sauce, return the fried chicken and cook for 5 more min while stir occasionally. 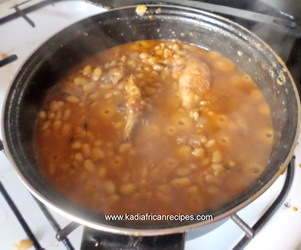 Step 5: Add the cooked beans and close the lid, reduce the heat and cook on low until liquid is almost absorbed (5 to 10 min).